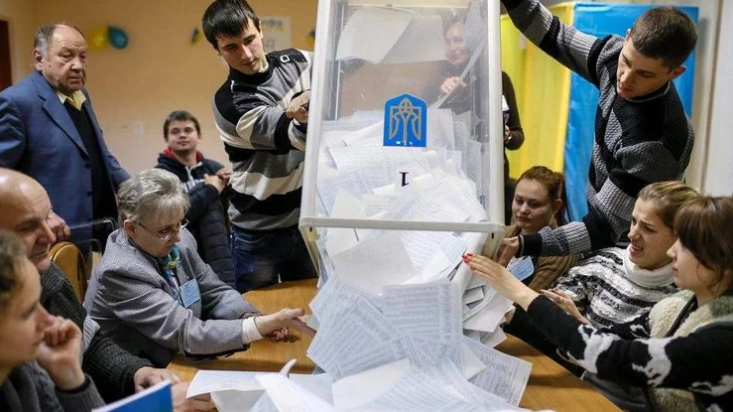 The Central Election Commission is going to adopt the protocols with wet stamps from 50 commissions of the territorial electoral districts as 112 Ukraine reported citing Nataliya Bernatska, the Secretary of Commission. According to her, all commissions are accompanied by police. It is necessary for the security of the protocols. The Central Election Commission will accept all of the commission. Moreover, Bernatska reported that the Ukrainian can begin to check the presence of their names in the electoral register or specify at which polling station they can vote. According to her, first of all, it concerns people, who did not find themselves in the lists for voting during the first tour of the presidential elections. “The steps are very simple: a person should appeal to the maintenance body with a passport and application, where a person is registered. We ask all voters, who, possibly, have not check themselves in the electoral register; it is possible to do online and see where the polling station is situated,” Bernatska said.